As this year comes to an end, many of us are planning how we're going to improve our businesses next year. How can I find more clients next year? How can I boost my income next year? How can I find more of the right clients with the right budgets next year? I always feel excited when I go into a new year because it's filled with endless possibilities, not just for your business but also for your personal life. The end of a year is the perfect time to plan how you're going to move your business to a new level in the next twelve months. That's why I thought I'd make my final post of 2016 a roundup of my twelve most popular posts on finding clients. Use these posts to help you find more clients with bigger budgets next year and make it the best year your business has EVER had! And if you want even more help than a blog post can provide, I have a FREE 5-day podcast series, Find More Clients, that will teach you the marketing strategies that worked the best this year for women entrepreneurs. Living the freelance life is fun. It’s fulfilling to set your own terms, earn your own cash and be your own boss. But finding clients can be tough, and that’s when freelance life goes from fun to frustrating. I don’t want you to throw in the towel because no one is hiring you. 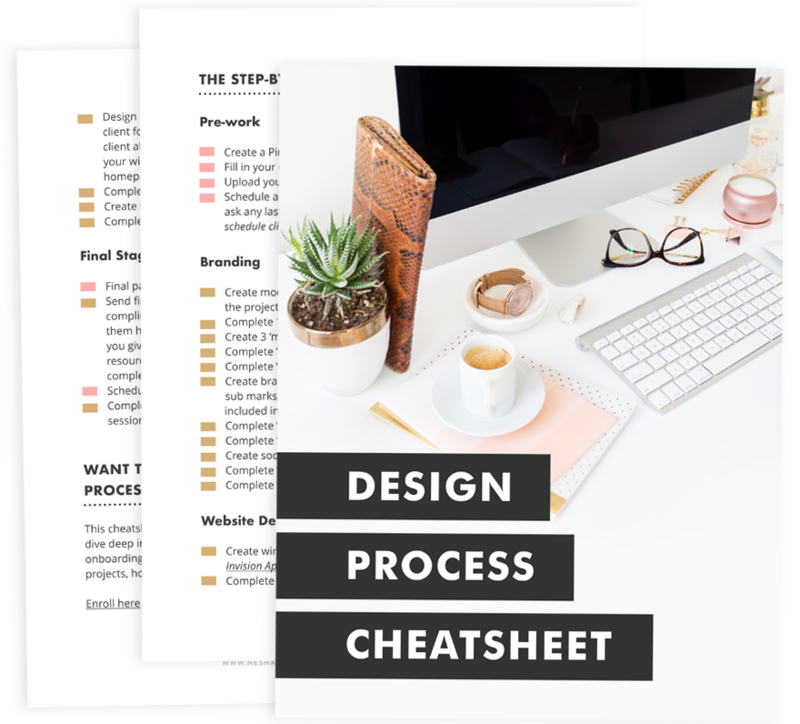 Use this 50-page printable workbook to learn & implement six key marketing strategies that will help you get booked out! Do you want to get out of a slow stage and start booking clients? Are you ready to finally get booked out?